Canadian Prime Minister Justin Trudeau, left, and President Trump, at the White House in October 2017. The two leaders recently discussed by phone North American Free Trade Agreement negotiations and bringing the talks to a timely conclusion. TORONTO — Prime Minister Justin Trudeau said Thursday he offered to go Washington this week to complete talks on renegotiating the North American Free Trade agreement but that Vice-President Mike Pence called and told him a meeting with the U.S. president would only happen if Trudeau agreed to put a five-year sunset clause into the trade deal. In a call to President Donald Trump last Friday, Trudeau offered to meet Trump because he felt they were close to an agreement that only required a "final deal-making moment." 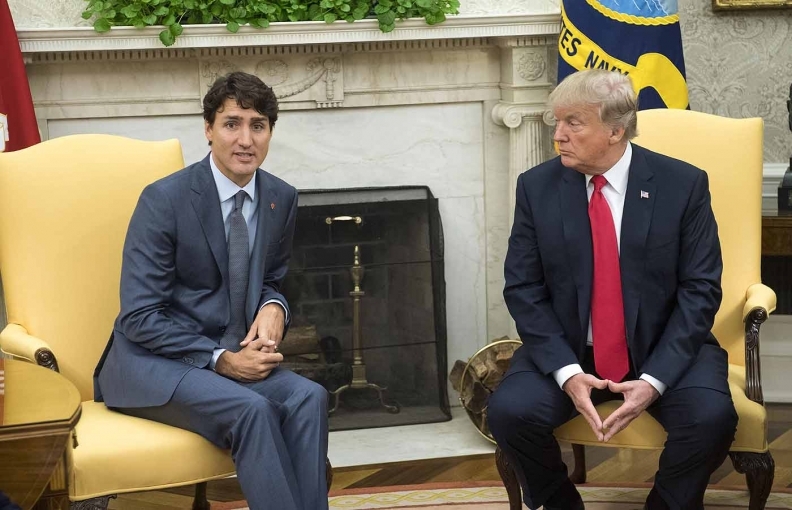 "I stated that I thought we were quite close to reaching an agreement, and perhaps the time had come for me to sit down with the president in Washington in order to finalize theNAFTA agreement," Trudeau said in French. "We already had the bones of a very good agreement for all parties, and I thought it might be opportune for all of us to sit down for a few hours and discuss it."